In the modern workplace there is less and less distinction between when you’re on the clock and at home. Mobile phones and the internet mean that any client or employer can contact you anywhere and anytime. But more work doesn’t mean more productivity. Workplace wellbeing is an essential part to an efficient and positive workforce and this can’t be achieved without effective time management. Work overload is the enemy of quality work. Are you always running out of time while working? 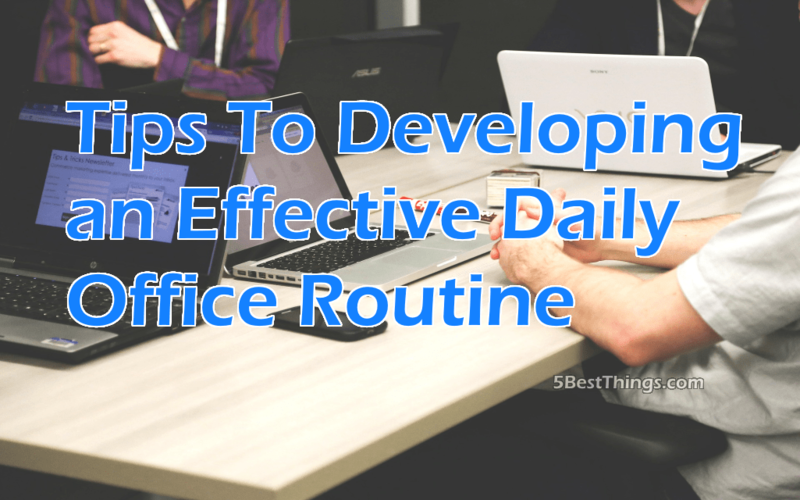 In the morning, you plan to win over the entire situation of your life but as soon as you step into your office building, you start looking for tips to manage your time at office. Don’t be embarrassed. It happens to everyone. But the answer isn’t to spend more hours in the office. Your office life should never take a toll on your health or on your personal relationships and there is plenty of evidence to show more hours doesn’t mean better work. What you do need is careful management of your time so you don’t spend unnecessary time on tasks when your attention could be best directed somewhere else.. It took me quite a lot of time to understand and implement this in my life. Scheduling your tasks of the day lets you get free of the burden of trying to remember everything. Take a piece of paper in the morning and pen down everything you need or want to do in the day – every single thing. Then separate the tasks that are related to your work and put them on another piece of paper. This paper should stay with you all through the day. Instead of burdening your brain with the tasks you need to do, you would now be able to focus on the task you’re actually doing. Once you do one task, take up another one and repeat. This helps you get a better perspective on how your day is tracking and if you have to readjust your expectations. Sometimes getting stuck on a task can be enough to derail your entire day. Maybe you don’t have all the resources to work as quickly as you would like or maybe you just can’t get your brain into gear. Whatever the reason, forcing yourself to remain on the task is not the best use of your time. Often when you give yourself room away from a problem, an impossible solution will all of a sudden fall into place. the busiest people often forget this important time management principle. Running late doesn’t give you a reason to over burden your brain. It needs rest. If it doesn’t get it, your productivity will suffer. Instead of over burdening your brain and degrading the quality of your work, give yourself 10 minutes between scheduled tasks to do something completely different. Stretch your legs, make a cup of tea or just have a chat with someone. Anything to get you away from your computer screen. Checking emails wastes a lot more time than you might think. When you respond to every little thing that comes through your inbox, you might please the person interrupting you but you are massively disrupting your own schedule. If you are like most people it takes you a little while to find a rhythm when you start a task. If you are constantly stopping and starting you will never get the benefit of this rhythm and the work will take you significantly longer than it would have if you did it in a single sitting. Make sure you check your emails not more than twice a day and do it at the same time each day. Put the times in your email signature so your clients and colleagues know when they can expect to hear and you will be surprised to see how quickly things click into place. Decide at the start of your day what you need to get done for the day not to count as a waste. This is not everything on your schedule (or not even anything on your schedule) but one thing that you can fully complete that day that will significantly contribute to the overall success of a larger goal. If you are completing at least one of these tasks every day there is no way you can truly have a ‘wasted day’. Real success is born from the implementation of effective daily habits. When you have good structures in place it makes it much easier to routinely deliver results. Alexander Dance is a full-time freelance writer. He is passionate about the effective habits that make up a happy and healthy lifestyle. You can read more of his writing at his personal website.